Fatima has held her own in this hotbed of palace intrigue under the protection and tutelage of the sultan’s imperious mother, Aisha. Her other main ally is the gay royal mapmaker Hassan, whose fondness for men and for drink are overlooked by the imams, owing to his special gift. As Hassan describes it, “I make maps of things I’ve never seen … and sometimes of things that don’t quite exist, except when I need them to.” In Hassan’s case, the map truly is the territory, or soon becomes it. Hassan’s knack for drawing secret passageways into existence has been a secret weapon for the badly outnumbered Nasrid sultans, and an occasional diversion for the stifled Fatima. The pair’s other favorite pastime is spinning tales of a quest to a mythic island in search of the Bird King, inventing new chapters for an incomplete manuscript of the classic Persian fable “The Conference of the Birds.” Languishing in the threadbare luxury of a dying empire, Hassan and Fatima find refuge in stories and in each other’s company, freed from the claims of desire and ownership. Then the end finally comes, as a delegation from King Ferdinand and Queen Isabella appears on the sultan’s doorstep to negotiate the terms of his surrender. Among the Spaniards’ company is the eerily cordial Baronesa Luz, a widow and lay sister of the Dominican order, and the sort of warm and sympathetic soul who will kick a dog when nobody’s looking. As the Inquisition cracks down, Fatima and Hassan decide to make a run for it, the “black cloaks” hot on their heels. Fortunately, the defenseless pair have a powerful ally: Vikram the Vampire — the droll, wisecracking jinn who also starred in Wilson’s “Alif the Unseen” — provides welcome comic relief during their perilous flight across the unforgiving landscape toward the sea. Although there is plenty of earthy banter along the way, Wilson relates her narrative with a spare lyricism that leaves much to the reader’s imagination, in a style that more closely resembles an exotic fairy tale than the elaborate world-building and magical lore of much fantasy fiction. 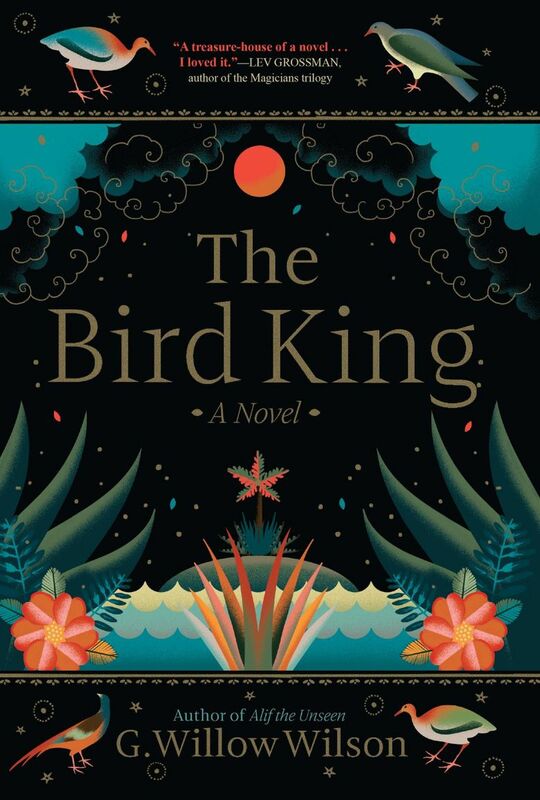 Moving beyond simplistic conceptions of good versus evil, “The Bird King” is ultimately a story of acceptance of self and others. It’s precisely the kind of fable we need right now.